What do brownies plus hot chocolate equal? A hall event study session of course! I was told that several people on my floor are studying for a difficult and rather lengthy psychology research paper. 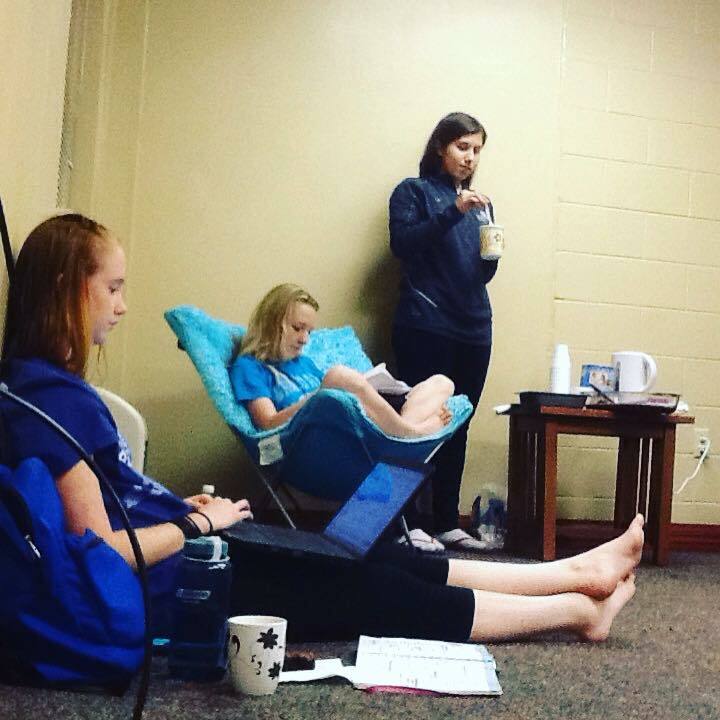 I guess they figured they needed the moral support (and a little chocolate) and this lovely study session was born! I was lucky enough to get out of my nighttime film class early this evening so I was able to join them (minus the psychology paper of course). Which made me happy! And I mean there is always a good excuse for brownies. Like, do we really even need an excuse for chocolate? But anyways, I really love all the girls on my hall and my RA is really amazing. I hope more study sessions are planned in the future. This really is a great group of girls! Outraged and disheartened by the vain flattery and calculated duplicity of his fellow men, Alceste declares that henceforth he will speak only the truth—no matter what offense this might give; he can no longer tolerate the conventions of saying one thing to a person’s face and another behind his back. Ironically, Alceste is enamored of the young widow Celimene, whose malicious tongue and unceasing coquetry make her the embodiment of the very situation he professes to detest. “The Misanthrope” is a classic French comedy that will prove to both entertain and educate. My cousin Rebekah (who has been in a couple of my videos on here) is in the play, and I am super excited to see her perform in it! 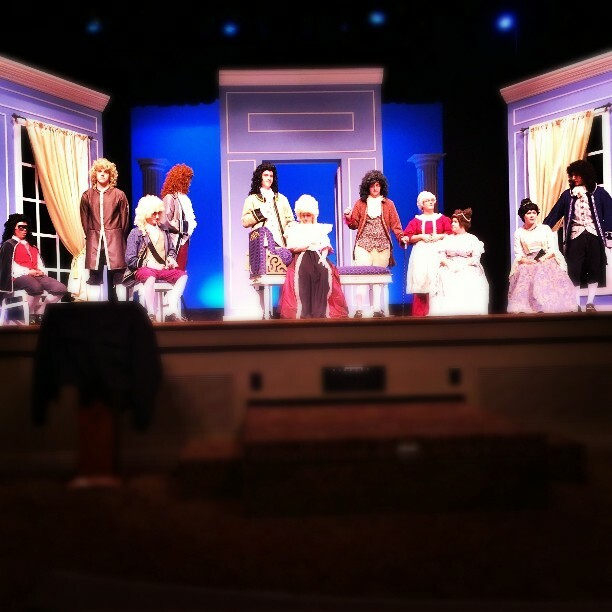 The Misanthrope is playing in Rudd Auditorium on Thursday, Friday, and Saturday this week. You can buy tickets online or at the box office. I am planning on going to see the play tomorrow night, and I can’t wait! Awwww! Why thank you, cuz! I’m sure you’ll enjoy it! It is quite funny, if I may say so.